A WOUND IN TIME: THANK YOU!!! 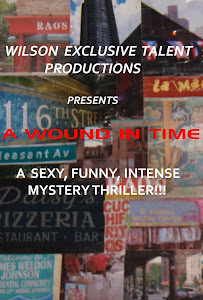 A special THANK YOU to Delilah Lloyd for her donation to "A Wound In Time". She is also one of the producers of one of the plays in my trilogy, "Wild Child". It's so nice to have friends who support your work!